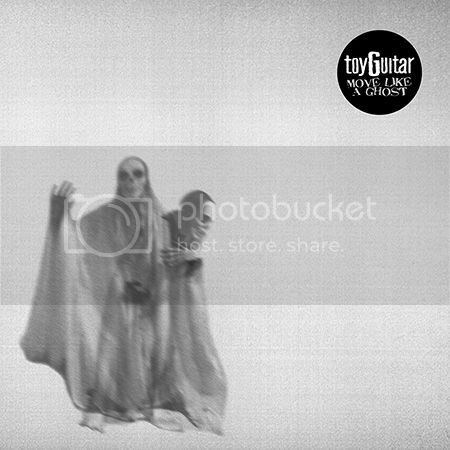 toyGuitar - Move Like a Ghost - out Sept 2nd! Sooooo…we recorded the “Move Like a Ghost” EP with our bud, and all-around ruler, Chris Dugan over in Oakland, Ca. at Jingletown. We wrote it because we all loved the idea of a 10 inch at 45 rpm. It sounds ruling and it kinda fits our whole, not wanting to play longer than 30 min vibe too. I personally love short and sweet records. We recorded it the day after we got back from that tour with some SXSW shows. Plus, since it’s not a full-length, we had even more time to crush cheeseburgers, get stoned, and hang out with each other more, doing what we absolutely love doing. I think collectively what we bring to the table and the way we are on stage together, is reflective of people that love being around each other, that trust and support one another, through the good and bad. So why not make another record with each other, on the best label, with the best bands and the most supportive family under those circumstances? No brainer!!! We have some States/Europe lined up for 2016 so far…we’ll keep ya posted!